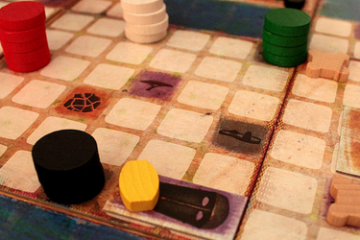 It’s been almost a year since we reviewed Juma al-JouJou’s Clans of Caledonia. Our review back then was based on the Tabletopia version of the game because the Kickstarter for the physical edition had just started. We’ve spent some time playing the paper-and-wood edition since then and it seems like a good time for an update. Here’s another first for us: we’re doing a review of a game that doesn’t exist yet. At least, not really. 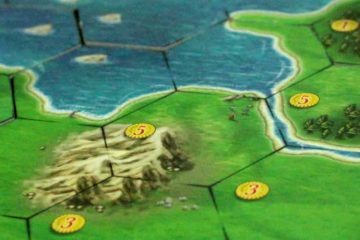 Clans of Caledonia only just started it’s run on Kickstarter, but thanks to Tabletopia we already had the chance to test it extensively. 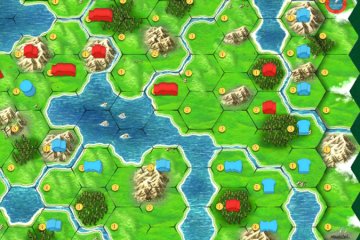 Clans of Caledonia is the new game by Juma Al-JouJou and Karma Games, previously presented here with Green Deal. Clans of Caledonia is a very different game from that one. Both are heavier games with a strong economic component, but that’s where it ends. 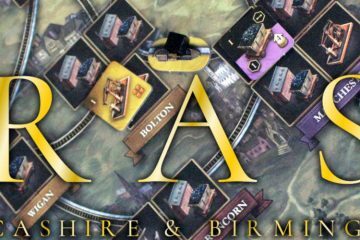 Instead of a tidy, modern office Clans of Caledonia sets you down smack in the middle of the Scottish highlands some time in the 19th century. 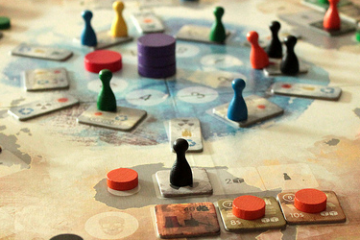 No, it’s not Outlander – The Boardgame.